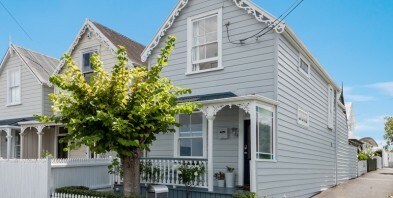 This is now priced to sell and could be the cutest and cheapest house in the Grey Lynn/Ponsonby area. This is an absolutely brilliant home for those who value location. Only a short walk from Ponsonby Road, yet far enough away from the hustle. One of the originals of the area, this corner enclave of cottages has always been keenly sought - for good reason. The location aside, the two-storey traditional layout maximises living for today's lifestyle. Beyond the pretty veranda, the downstairs is the living zone - separate dining, great kitchen and easy access to a totally private decked courtyard. Upstairs are the two bedrooms, with the master providing fantastic local views. Great storage is provided in both bedrooms and in the attic space. Freshly presented, this is ready to move in and enjoy what this compelling package offers for your budget and your lifestyle. Make sure you inspect. This is unbeatable buying where everyone wants to live.